UPDATED: Tue., Feb. 7, 2017, 9:57 p.m.
SEATTLE – Two University of Washington students have filed a lawsuit, saying President Donald Trump’s executive order temporarily blocking immigrants from seven predominantly Muslim countries and all refugees from entering the country is unconstitutional. 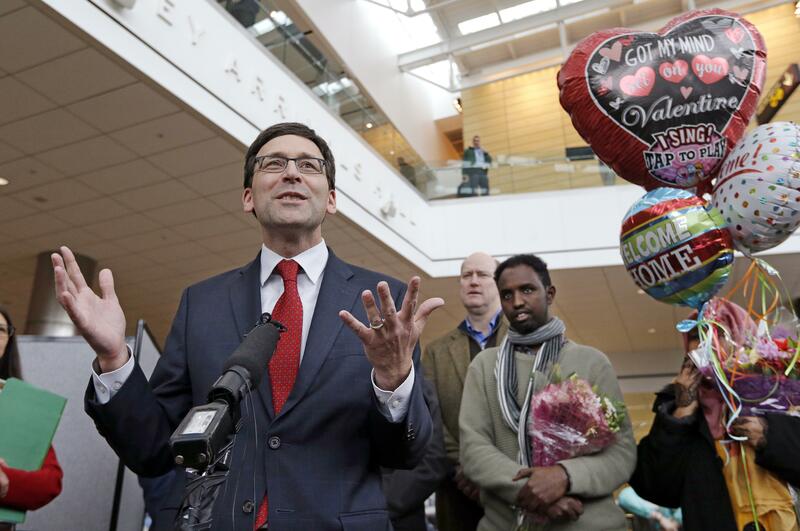 The Seattle Times reported the two unnamed students, who are pursuing advanced degrees, say the executive order invalidated their non-immigrant visas. One of the plaintiffs, identified only as “John Doe,” is a doctoral candidate from Iran who is studying aeronautical and astronautic engineering. The lawsuit says he is no longer able to travel outside of the country to pursue academic work. The second student, identified in court documents as “Jane Doe,” is an Iranian national. As a result of the executive order, the lawsuit says she may not be able to pursue internships outside of the United States. Published: Feb. 7, 2017, 12:07 p.m. Updated: Feb. 7, 2017, 9:57 p.m.